A doctorate degree is the highest title conferred in academia and qualifies you to become a university professor in your field of study. It's the black belt of education. When you finish, you're expected to possess advanced theoretical and applied knowledge pertaining to your field above and beyond the master's level. For all you etymologists, the term originates from the Latin "docere", which means "to teach", since that's what you'll be doing. And, of course, completing a doctorate will earn you the privilege of placing the letters "Dr." before your name. In general, the most sought after jobs after PhD are University professor, Industrial R&D Lab professionals and Start-ups mentors. Industrial Research and Development organizations have dedicated PhD groups who are involved in research activities, designing new products and taking part in crucial strategic meetings. 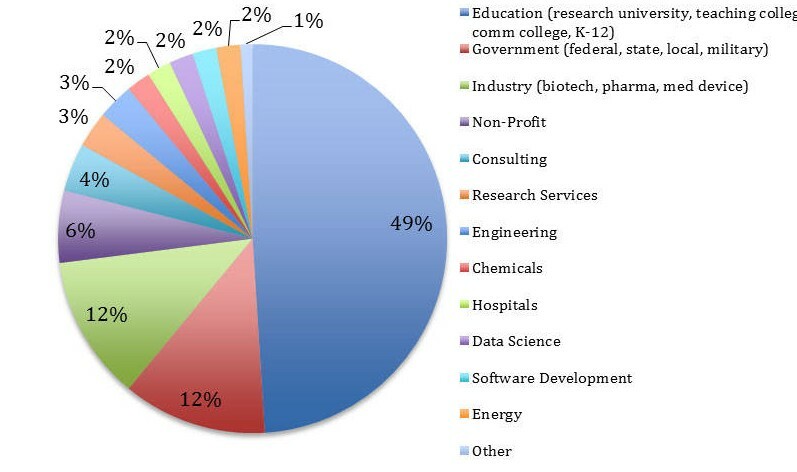 As compared to development centres, the average salaries in industrial R&D labs are much higher. This clearly suggests that an engineering graduate with 5 years of experience would be earning less than a fresh PhD Graduate who has recently joined a industrial R&D lab. 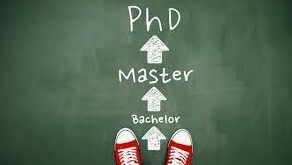 PhD in the university has duration of 3 year to 5 year. For admission into PhD candidate should have Master Degree in related areas like Master's Degree in Arts / Humanities / Science / Commerce from a recognized university with at least 50% marks in aggregate. Candidate belonging to SC/ST/OBC (non-creamy layer) will get relaxation of 5% marks. Candidate will get admission after he will be clear the Entrance Test Organised by university. Candidates who are UGC/CSIR (JRF) Examination / SLET/GATE and teacher fellowship holders are exempted from Entrance Test. He can diectly go for Interview. Candidate who have M.Phil degree and want to take admission in PhD have to clear the Entrance Test. Full Time: Candidate who pursue their PhD in full time are in this category. Candidate who want to do their PhD in other discipline rather than their Master Degree on full time basis is known as Interdisciplinary Full Time. Part Time: Candidate who pursue their PhD in part time are in this category, however they have to attend a minimum of 30 days attendance per year. Candidate who want to do their PhD in other discipline rather than their Master Degree on part time basis is known as Interdisciplinary Part Time. Once you have completed your PhD, it’s time to track your potential and apply to jobs based on your exact skills and expertise. Though it’s not a difficult task to analyze your skills at PhD level, however, the following parameters will help you to understand and realize where your true potential lies. Know the keywords and buzz words of the sector you want to go into.